Today, he's going to share a favorite breakfast recipe that we enjoy when we go camping, which we call Orange Rind Cinnamon Rolls. Let me start by saying that I love cooking outdoors over an open campfire. Stoves, ovens and even barbecues are way too controlled and dare I say it, “safe” for me. There is something daring about having to control not only the food that you aim to cook, but also the small forest fire you have contained in that pit. 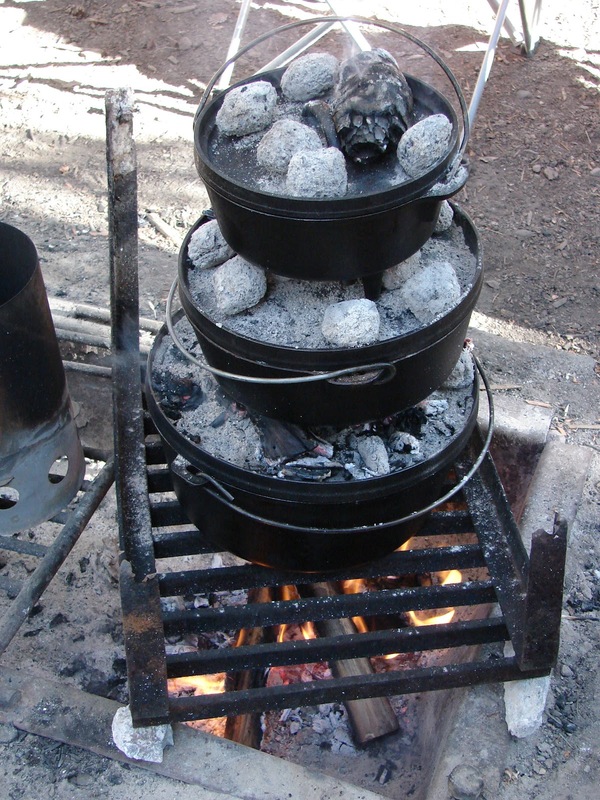 I’ve cooked on a spit, on a grill, and in a dutch oven over a natural wood flame. All of these are great ways to cook various meals. But for simplicity (and a wonderful breakfast treat) nothing beats an orange wrapped cinnamon roll. And it is easy (once you get the fire going)! I’ll assume at this point that you are cooking for more than one person. While your coffee is heating up on the grill over the fire, start cutting some large oranges in half. Squeeze the juice out of ‘em to drink, and scrape as much of the pulp out as you can. Try to leave the rind intact as that is what we’re after. Grab a tube of Pilsbury cinnamon rolls and open them up. A little side note here: When transporting these “tubes” to higher altitudes or on long trips, pack them in Ziploc bags or they will make a mess of your cooler chest (just trust me on this one). Place a cinnamon roll into half of the orange rinds and then cover them with the other half of the orange. Now double wrap each orange in foil. Using your tongs (you did bring some along, right?) place the oranges around the edge of the fire or on top of the coals. Give ‘em an occasional turn. They should be done in about 10-15 minutes; plenty of time to enjoy that coffee or orange juice. The orange peel has both protected the rolls from burning, and infused flavor into them. Pull them out, un-wrap and enjoy the best cinnamon roll you’ve ever had (cooked IN an open fire). I'm going to try that recipe in the oven. I love cooking over an open fire - but not at this time of year. Too cold and wet in Ontario right now. Funny you should say that barbeques and camp stoves are too safe for you. Compressed gas scares the bejeebers out of me. The camp fire seemed like the safer option for me so I got good at cooking anything from the morning pot of coffee to a three course dinner on an open fire. I'll enjoy following your posts. Yellowstone Awakening Release Date March 1st!